A gain-scheduled controller is a controller whose gains are automatically adjusted as a function of time, operating condition, or plant parameters. Gain scheduling is a common strategy for controlling systems whose dynamics change with time or operating condition. Such systems include linear parameter-varying (LPV) systems and large classes of nonlinear systems. 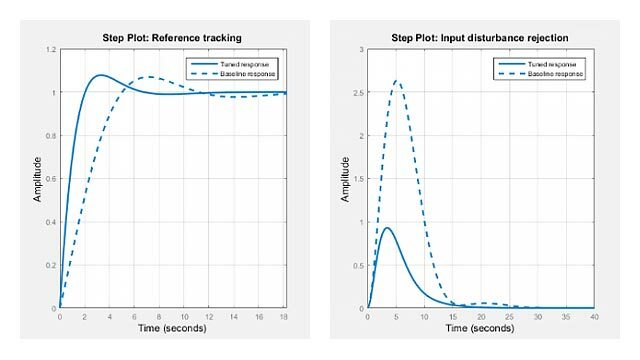 To tune gain-scheduled controllers in MATLAB® or Simulink®, you represent the variable gain as a function of the scheduling variables using the tunableSurface command. For an overview of the workflow for tuning gain-scheduled controllers, see Gain Scheduling Basics. Gain scheduling is an approach to control of non-linear systems using a family of linear controllers, each providing satisfactory control for a different operating point of the system. In Simulink, model gain schedules using lookup tables, interpolation blocks, or MATLAB Function blocks. Understand the general tuning workflow for using systune to tune gain-scheduled controllers. To tune a gain-scheduled control system, you need a collection of linear models describing the plant dynamics at the selected design points. For tuning a gain-scheduled control system, associate a family of linear plant models with the slTuner interface to your Simulink model. A gain surface parameterizes a variable gain in terms of the scheduling variables. 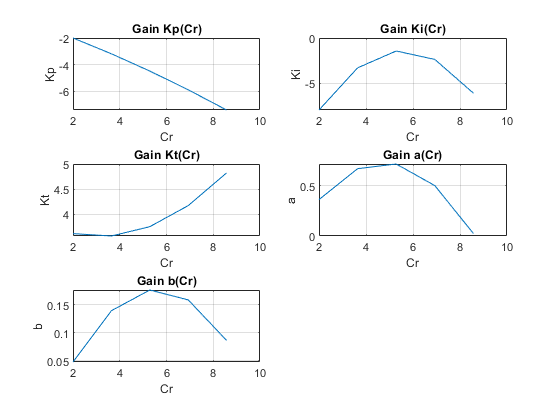 Use gain surfaces to model variable gains in a gain-scheduled control system. When tuning gain-scheduled controllers, you can specify tuning objectives that depend on the scheduling variables. Tuning gain-scheduled controllers guarantees suitable performance only near each design point. It is important to validate the tuning results over the full range of operating conditions. Linearize an airframe model at an array of design points to use for gain-scheduled control design. Tune gain-scheduled PI controllers for the inner loop of the HL-20 airframe model. Tune a gain-scheduled SISO architecture for controlling roll, pitch, and yaw of the airframe. Tune a gain-scheduled MIMO architecture for controlling roll, pitch, and yaw of the airframe. 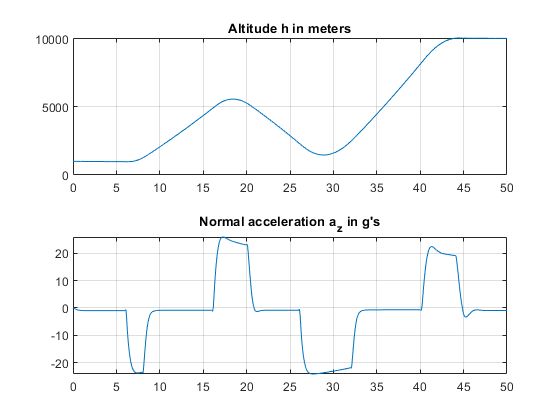 Design a gain-scheduled control system for the HL-20 airframe in MATLAB. 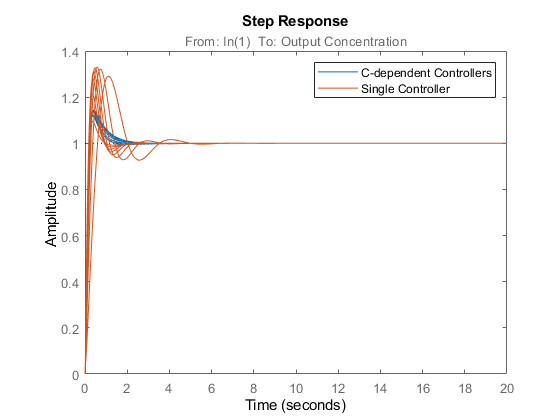 Tune a gain-scheduled controller for a chemical reactor transitioning from low to high conversion rate. Uses systune to generate smooth gain-schedules for a two-dimensional grid of operating conditions for a control system modeled in Simulink.